This post is a compilation of Sony Cyber-Shot DSC-W300 professional and user reviews, owner opinions, reports and experiences, tests, conclusions, ratings and feedback. In Backscatter’s Best Underwater Point & Shoot Cameras for 2009 review, the G10 was selected as the best camera for divers looking for a camera in the $529 — $1499 price bracket. The article goes into great detail on what to look out for when selecting an underwater photography system that is based on compact digital cameras. The Cyber-shot W300 article is written in Japanese, but there is a bunch of useful information that can be concluded about the DSC-W300. To help with understanding the article in English, use Google’s Japanese to English translation service. Face-detection AF (autofocus) seems to work. Here are direct links to the full-sized ISO80, ISO400, ISO800, ISO1600 and ISO3200 test photos. There’s very little texture left in the ISO 3200, and that’s to be expected, but I thought the noise reduction worked pretty elegantly with no hint of smearing. When resized to 1024 pixels on the longer side, the resulting photo looks respectable. In contrast, the ISO 400 and 1600 photos look pretty good, relatively-speaking. And I can’t complain much about the nice quality of the ISO 400 photo of a Nissan 350Z. There is a fair amount of color blotching going on in there, so using the Color Noise Reduction tool in Adobe Lightroom is probably a good idea. 3 series were done at ISO800, 1600 and 3200, with NR set at Minus, Standard and Plus (I got those value settings from Google’s translation service). 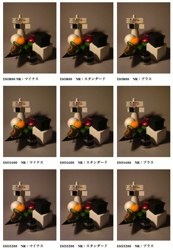 Here are the direct links to the ISO 1600 test images with NR set at Minus, Standard and Plus. If you ask me, I’d rather leave NR at Minus — the grain’s (luminance noise) pretty nice with no hint of ugly chroma (color) noise. Go through the rest of the review and look at the full-sized W300 images — they have a ton of those there. Luminous Landscape has written up a quick and positive review of the Sony DSC-W300. The article also compares the Cyber-shot DSC-W300 with the Samsung NV24HD digital compact camera. Photos from the Sony W300 up until ISO 400 can be used to give good quality prints up to 11 x 14” (super A3 sized prints). Image quality from the W300 is far superior to the ones from the NV24. This is so even though the Samsung only has 10 MP of resolution, against the Sony’s 13.6 MP. 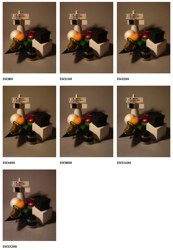 Comparison image crops are given comparing both cameras. Image sharpness in W300 photos is good right out to the corners. There is a slight barrel distortion at the wide end of the zoom range. It would have been better if the lens on the W300 could go to 28mm at the wide end, instead of the specified 35mm. There is no RAW mode on the W300. There is visible chromatic aberration (CA) in the W300’s photos, but this can be easily corrected using the CA correction tool in Adobe Photoshop Lightroom. In conclusion, the Sony W300 is high on the recommended list for shirt-pocket sized cameras.